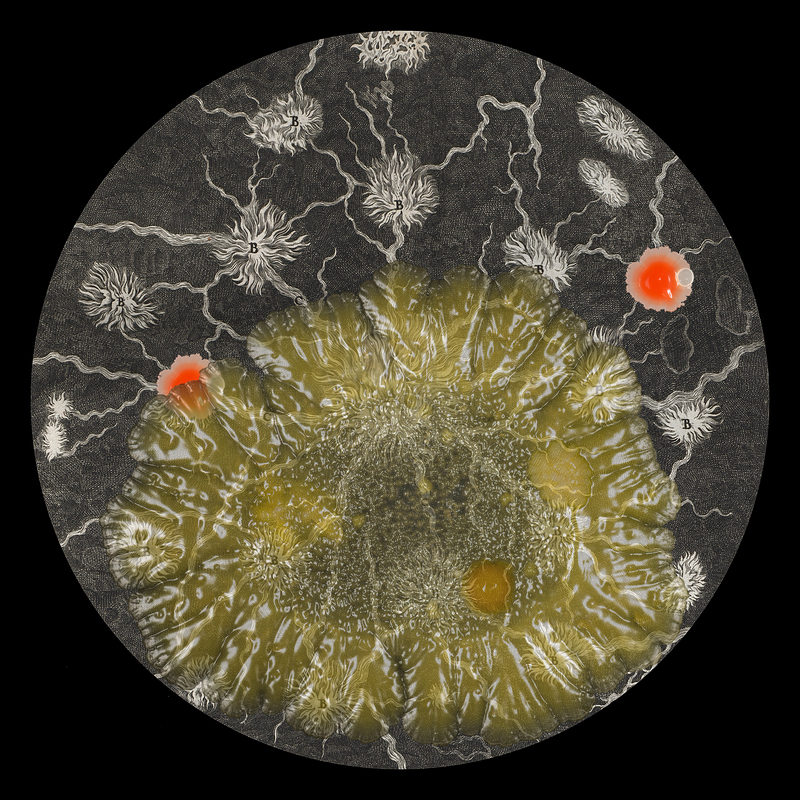 Mundus Subterraneous, the Templeman Library’s first commissioned art installation, is an exciting new piece by artist in residence Sarah Craske, revealing the microscopic life forms hidden in the Library. It opened on 21 March 2016, and is on show in the Templeman Gallery at various times throughout the year, among other events. Sarah forensically swabbed items from our Special Collections to collect the microflora growing on them. She then cultivated them and documented their growth, blending it with an image from Athanasius Kircher’s seventeenth-century work Mundus Subterraneus from our collections. Using macro and timelapse photography, digital and analogue technologies, Sarah has created a short film depicting the beauty of the unseen microbial world in our books. Pictured above: a still from the film. This entry was posted in Artwork, News, Past exhibitions and tagged Athanasius Kircher, Mundus Subterraneous, Sarah Craske, Special Collection & Archives on January 25, 2017 by Elspeth Millar.